[ARCHIVED THREAD] - Got my first Marlin lever! Picked this one up today, the 39 Century Ltd model. It may have been fired once (if the scope is actually zeroed), but the chamber area is clean on an immaculate level as is the barrel. Thread the barrel for a silencer? Put it in a display case? Hide it away for another 44 years? I know they made 34,000 of these things so it isn't exactly rare. Great guns and enjoy. I've had a 336c for 35 years and it's still a great shooter. ive been looking for shorts for my henry forever. I got plenty of .22lr and sub subsonics.. but i would love to feed some shorts in it. I'd chop the barrel to 16" then rhino coat it black and find a way to put a rail with a light and a vfg on it. Then mod the stock to a side folding, M4 collapsible stock, and add a gaudy green biohazard symbol . . . I would shoot it but baby it at the same time. That is a walnut stocked model btw which harkens back to the best days of the marlin legacy years. That little black and white bullseye on the stock is not a sling swivel mounting hole! 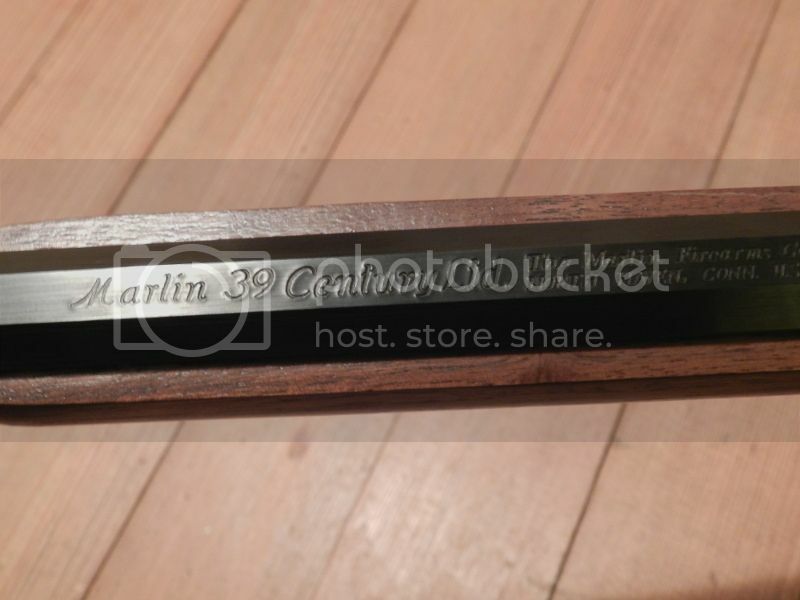 Whatever you do, don't drill that out or mar it as it is a collectable marlin signature feature. 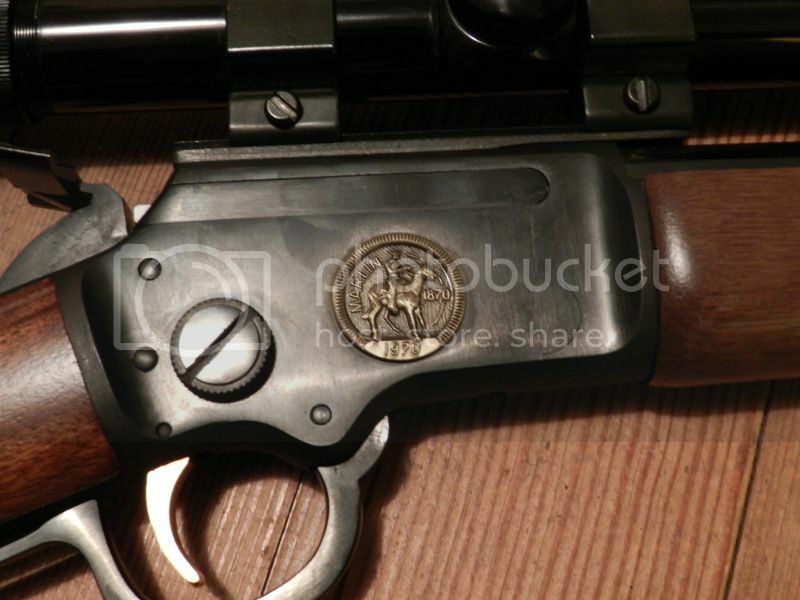 That is a pretty gun in great condition! I wouldn't. I have a suppressed levergun, but it's a utility thing. That gun of yours is (imo) too nice to do that too. Some guys would say don't even shoot it; I would definitely shoot it and enjoy it, but I wouldn't modify it like that. Then again, it's yours, so do whatever you want with it. I had a 39A a long time ago - the longer-barrel version with pistol-grip stock, and had put a weaver 'wide-view' scope on it - and it was crazy accurate. Shorts, longs, long-rifles, it fed them all and shot them all very well. Sold it in 79 or 80, and naturally have regretted selling it pretty much ever since. Threading the barrel was more of a joke but thanks! I tend to not sell guns so hopefully I don't have any future regrets with this one. First of all, congrats. 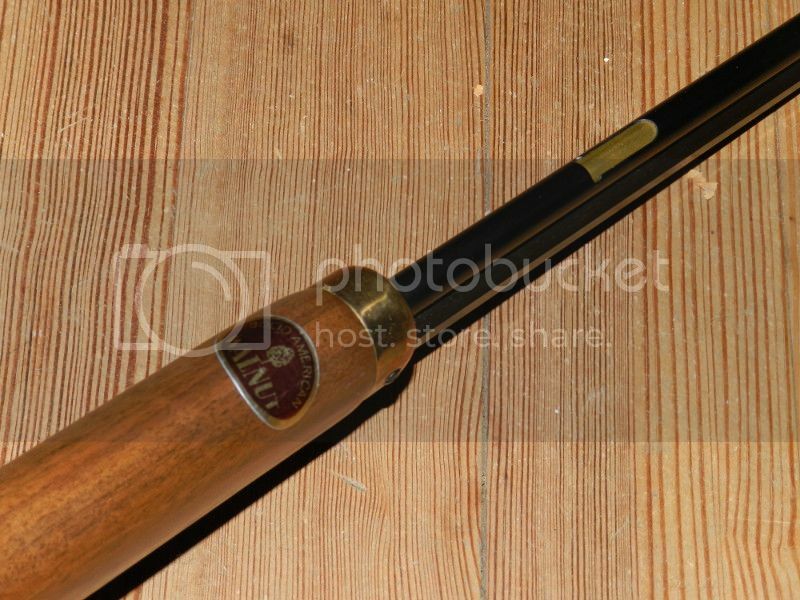 Old Marlins are some of the nicest shooting rifles you will ever see. 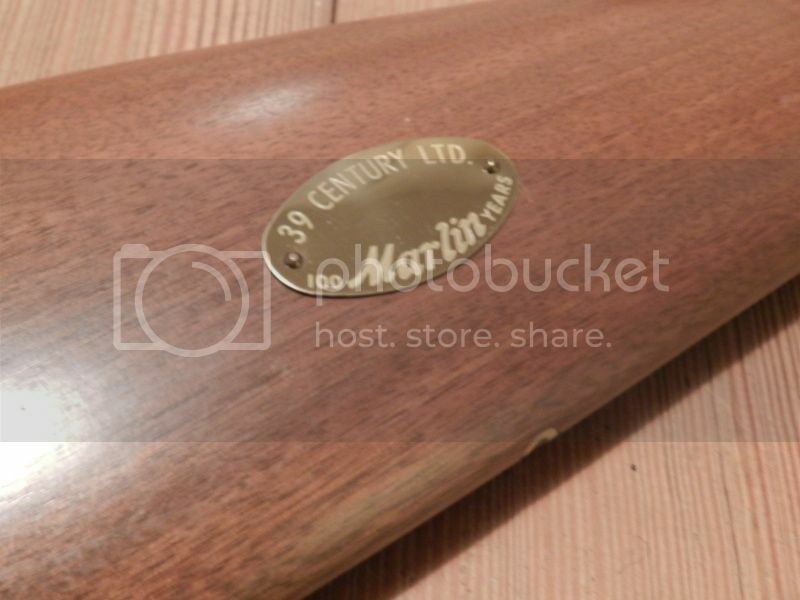 Im still hunting for a nice 1894 chambered in 38/357 for a reasonable price. Strip the scope unless thats your thing. 39A's are wicked accurate out to 50 yards or so. I can generally ding 12g shotgun shells at 50 yards with the factory irons. Not bad for a 22 with crappy bulk ammo. I just got a 30TK and can't wait to shoot it.....my first lever gun.